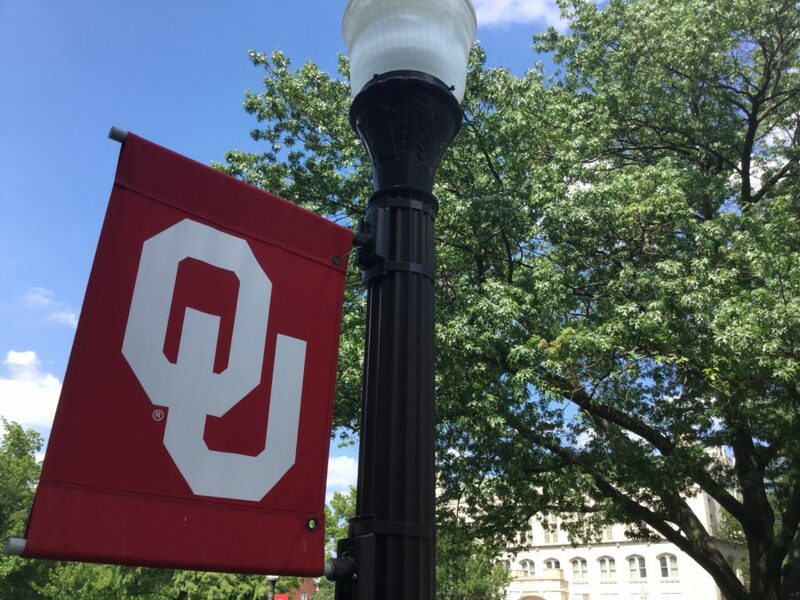 If your student is on campus at the University of Oklahoma, we know that you want to be absolutely prepared to help them succeed in their new academic adventure. Fear not, OU Parents, we’re here to help with 10 things every OU parent needs to know. First things first, with a campus the size of OU, knowing where EVERYTHING is on campus may seem overwhelming. And no one wants to be THOSE parents who have their nose in a map all the time. Do yourself a favor and save the campus map on your phone so you can pull it up as needed. This map includes parking and is marked with buildings. This map offers streets and can be zoomed out to see all of Norman. Get a feel for campus. The OU campus, while vast, is well laid out and is bordered by Boyd Street on the north end, Timberdell Road on the south end, Chautauqua Ave on the west end, and Jenkins Ave on the east end. The main administrative building is located on the North Oval. Gaylord Family – Oklahoma Memorial Stadium is in the east part of campus. And South Oval is usually found full of students making their way to and from classes. Ok, so what about Norman? Norman itself is made up of many neighborhoods. 4 of the main ones you’ll need to know are Campus Corner (located to the north of campus), Historic Downtown (located near campus), the mall, and University North Park (an up-and-coming portion of Norman with new housing and restaurants). Tell me about the arts and culture scene. There are so many great art and culture opportunities at OU. From the Sam Noble Natural History Museum to the Fred Jones Jr Museum of Art, from the Weitzenhoffer College of Fine Arts dance and theater productions to the local Norman arts scene (including 2nd Friday Art Walk), you will not be disappointed at the arts and culture scene both on and off campus. Boomer Sooner fans cheer the Crimson and Cream on in every sport offered on campus. With 19 varsity sports including football, basketball, wrestling, volleyball, softball, rowing, and more, there really is a sport that everyone can get behind. Plus according to Forbes Magazine, Norman is one of the top college sports towns. Catch a University of Oklahoma Sooners Sports Team in Action! What about a good cup of coffee? Let’s face it – we all need a caffeine pick-me-up from time to time. There are a few options on and near campus for a great cup of coffee. Here are 5 great places to have coffee in Norman OK. In the heart of Campus Corner, you’ll find Hideaway Pizza, voted the best pizza in Oklahoma. We also love New York Pizza and Pasta, also in Campus Corner. We need a dinner for the whole family. Norman has so many great restaurants. We love to recommend Legend’s, a Norman staple for decades. And you definitely can’t miss with these great restaurants, either. What about some time off campus? Lake Thunderbird State Park is a great way to get away from it all without getting too far from town. Or check out Andy Alligator’s for some amusement park fun. Oklahoma City is a short drive from Norman, about a half hour, and that opens up a world of possibilities in dining, outings, and all kinds of fun. Where should we stay when we visit? You knew OU was a great choice for our student, but now you’re so excited about OU and Norman and you want to stay, instead of just visiting for a few hours. We love it here, too. If you love the idea of being within walking distance of campus, with an at-home feeling with out the at-home dishes after a gourmet breakfast, we invite you to stay with us at the Montford Inn and Cottages. You may be asking yourself : What’s The Difference Between a Bed and Breakfast and Hotel in Norman OK? and we’d love to show you just how comfortable we can make your time in Norman with (or without) your student.